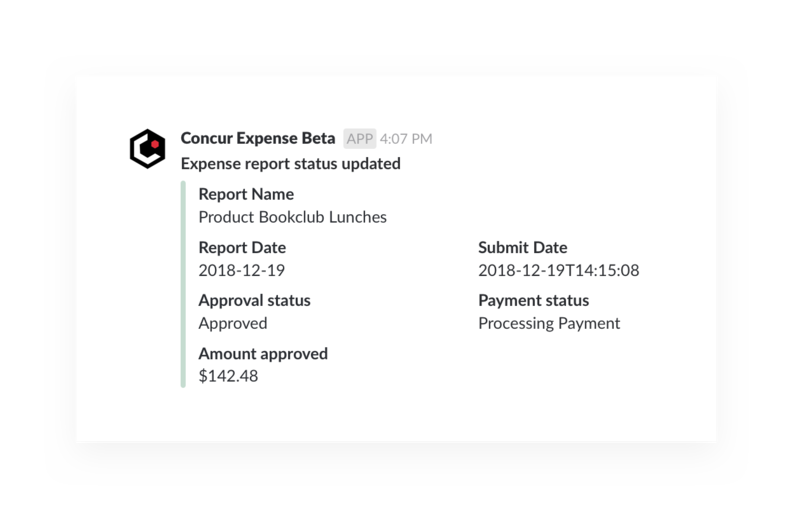 Submitting expenses for reimbursement be a chore, but with the Concur app for Slack, you can do so quickly and easily. Plus, approvals can be done in a snap. 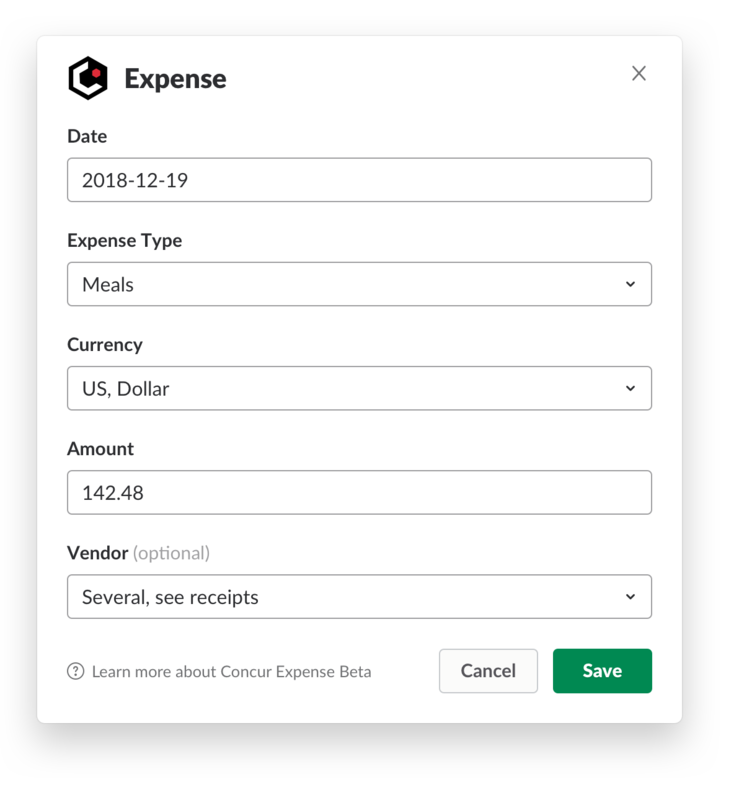 Install the Concur Expense Beta app for Slack and configure it with your account and workspace. 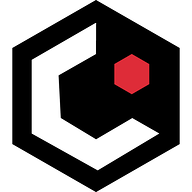 Please note, this app is developed by Concur and is still in Beta. There will be opportunities to provide feedback as you use the app. 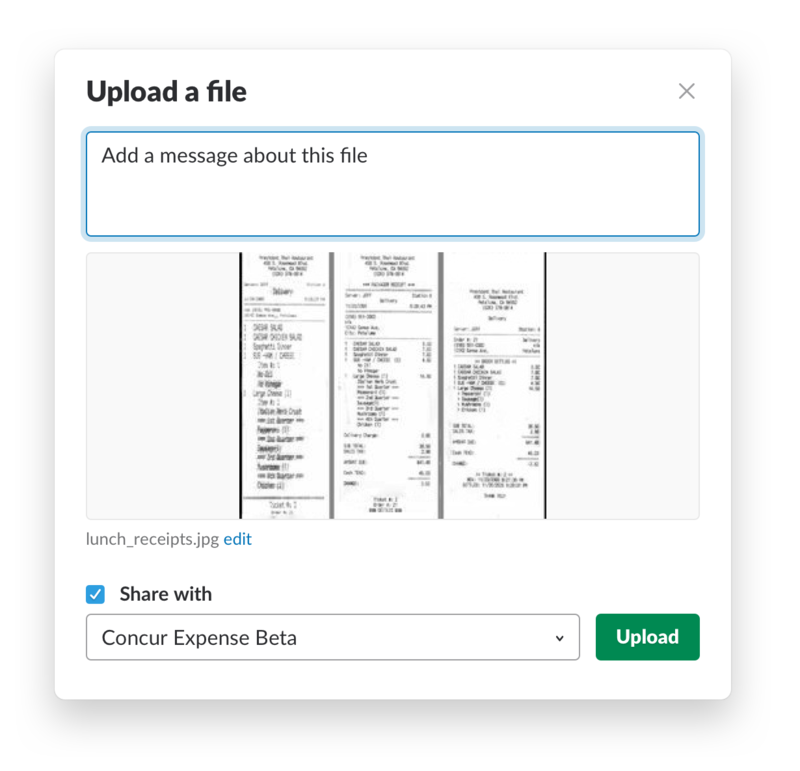 Upload receipt images by dragging them into a direct message conversation with the Concur bot. Create an expense and the image you uploaded will automatically get attached. 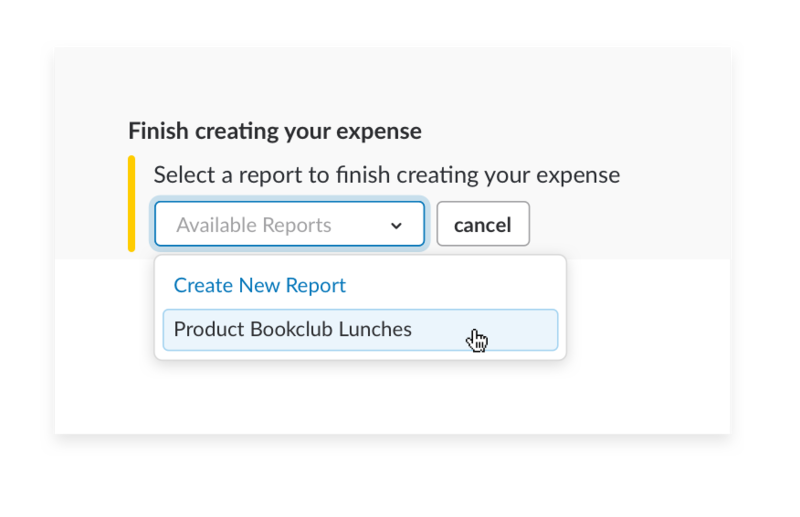 Add the expense to your open expense reports or create a new one. You can follow the steps above to add expenses to a report throughout the month so you don’t forget. When you are ready to submit the full expense report, give it a final review in Concur and submit the report. 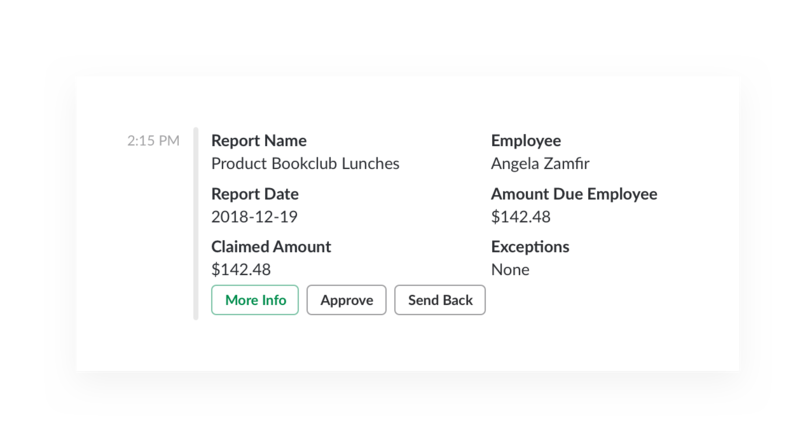 After you submit the report, an approval request will be sent to your manager in Slack where they can approve easily with the click of a button. Get paid! 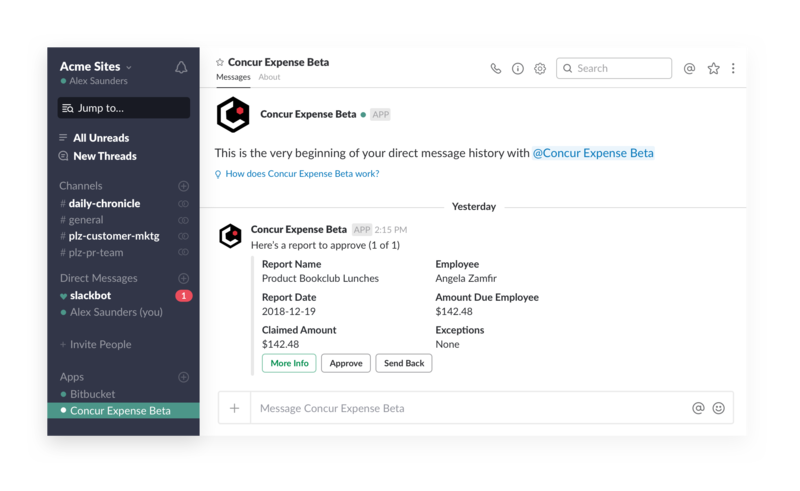 You’ll receive alerts in Slack to let you know once your expenses have been approved and are being processed for payment.